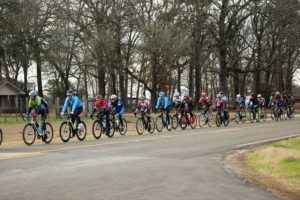 HOUSTON COUNTY – Area residents were greeted by an unusual sight (at least for Houston County) on Saturday morning as more than 150 bicyclists rolled through the back roads of the oldest county in Texas as part of the Wild Frontier Road Race. 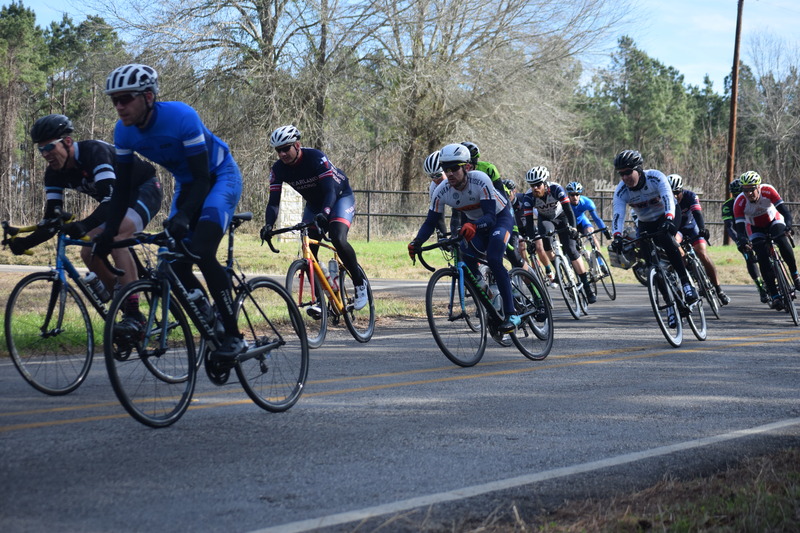 The race was brought to Houston County by a Houston-based company known as Local Bike Racing (LBR). After the event, when all the dust had settled and all the gear was stowed away, LBR Owner and Race Director Alexander Montoya discussed the race. “For us, everything went remarkably smooth. Every time you go to a new venue, you’re always pretty nervous. There’s always new stuff but this one seemed to go off perfectly the first time. There were no issues with crazy crashes and we had a pretty good turnout,” Montoya said. 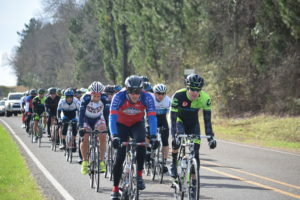 When questioned about the route from Crockett to Percilla, through the Liberty Hill and Augusta areas and then back to Crockett, Montoya said the cyclists all seemed to agree the course was challenging but beautiful. The cyclists competed in one of six different categories – dependent on age and skill level. Montoya explained the way the categories were designed and said a category 5 rider was at the beginning stage while a category 1 cyclist “… was among the elite, almost a pro. Some of the guys who are in category 1 are either going pro or used to race professionally. There are a lot of really fast guys in that one,” he said. The race director made sure to extend his appreciation to the event sponsors and those who helped bring the race to Houston County. “Joel Franssen was the local guy who did a lot of the leg work to get this thing going. Joel and all the sponsors, but Joel was an integral part of getting this stuff started,” he said. 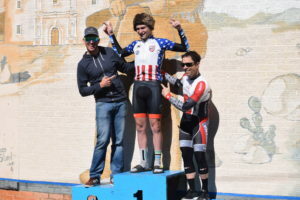 One of the youngest riders on the course was the winner of the Men’s Pro Category 1/2/3, 14-year-old Eli Husted. 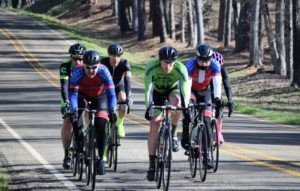 Shortly after he finished the r ace, Husted took time to discuss his race and how he got started in cycling. ut it’s kind of flat. I really enjoyed it out here,” Husted said. As to how long he had been cycling, Husted said he started about four years ago when he was 10 and received his first road bike. He added he had been racing since he turned 11. 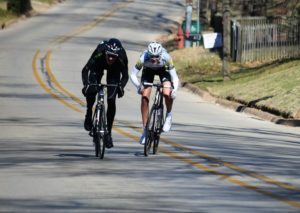 When asked what the future holds, Husted indicated he wanted to go as far as he possibly could in the world of cycling. “I’m on a great team right now called Hot Tubes. I’m hoping to be on there until I’m 18. 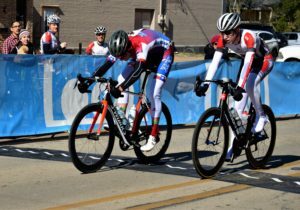 Then I’m hoping to go to Axeon (Axeon Hagens Berman) on their U23 team and maybe, eventually, go pro,” he said. At the other end of the race spectrum was John Murazak, the winner of the Men’s Masters 40+ Category 1/2/3/4. Murazak, who originally hails from Australia, was equally impressed with the course. “The rolling terrain and the texture were great. You kind of have to be at the front of the race because if you’re at the back going up the hills, the race is all over,” he said. 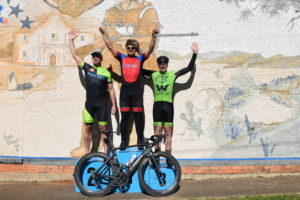 The Aussie said for many of the cyclists, this was their first race of the year and because of that, the race was a benchmark to see where the cyclists stood on their conditioning. “It was a great course and it was very enjoyable. I had a great team supporting me and we came out with the win,” Muzarak said.